It’s an unexpected way to get to the on-trend nickname Vivi. 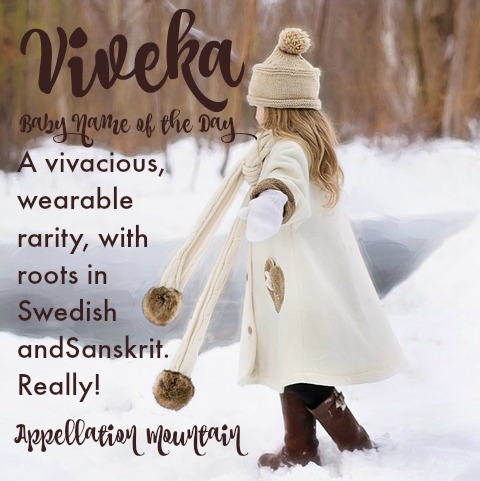 Our Baby Name of the Day is the rare but wearable Viveka. Viveka has two separate stories, from completely different parts of the world. 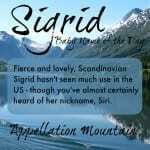 The name is usually listed as Swedish, in which case it comes from the German element meaning war, wig. This connected Viveka to names never heard in the US, like Wiebe, as well as more familiar ones, like Ludwig. Notable Swedish women by the name include Viveca Lindfors, a celebrated actress whose long career spanned five decades and included an Emmy Award, as well as a Silver Bear for Best Actress at the Berlin Film Festival. Astrid Lindgren gave the name to a character in one of her books, but I don’t believe it has ever been made available in English. There’s also Viveca Paulin, a Swedish-born actress better known as the wife of Will Ferrell. While Viveka is usually listed as Swedish, Nordic Names lists the -k spelling as a variant of Viveca. More on that later. I’ve come across a number of men named Vivek. It’s a Sanskrit name meaning wisdom or distinction. I assume parents choose it because it’s an easy crossover name, shortening to the familiar Vik. The logical feminine form is Viveka, and I’ve found women of Indian heritage with the name. If you’re after a Swedish-Indian-English crossover, it really doesn’t get any better. Now, back to the spellings. To the best of my knowledge, Vivica A. Fox isn’t Swedish or Indian. Her ethnicity is usually listed as Native American and African American, and Fox was born in the thoroughly American city of South Bend, Indiana. Fox is arguably the best-known of the Vivicas today. Her long and varied career has taken her from the silver screen – most notably in Independence Day, as well as the upcoming sequel – to the small – she’s recently guest starred on smash hit Empire. Choose your spelling, and any form of this name is rich with potential. It’s a Vivi name, just like all of the forms of Vivian. Parents are big on the letter V in general right now, and Viv- names in particular. 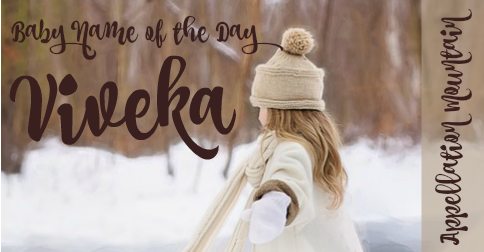 Viveka hits the sweet spot, right between feminine and frilly. While the name is rare, it is real rather than invented. 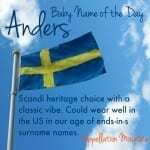 With roots in Swedish and Sanskrit, it’s undeniably a culture-spanning choice. So which spelling is most common? That’s a tough one. Viveka was first given to more than five girls back in 1988. The name peaked with eleven newborns in 2006, and was last given to five girls in 2013. Viveca debuted way back in 1948, with a peak of 27 births in 1957, and last was given to five girls in 2012. Credit to Ms. Lindfors! In 2009, Viveca was also the name of an aspiring musketeer in the Barbie direct-to-video flick Barbie and the Musketeers, but it wasn’t enough to boost the name. Vivica debuted way back in 1950, peaked with 97 births in 1998, and was given to 13 girls in 2014. Let’s attribute that success to the career of Ms. Fox. There’s also Vivika, given to six girls in 2014, and as many as 14 in 2001 and 2009. It debuted on the US Social Security data in 1997, making it the newest of the four possibilities. There are good arguments for all of the spellings. I might favor Vivica, if only because it’s the most common right now. But any of them come work beautifully as stands-out/fits-in names for a girl born today. What do you think of Viveka? Which spelling do you prefer? I wondered if Viveka (Swedish) and Viveka (Sanskrit) derived from the same root, since both are Indo European languages and there are a fair number of cognates that are recognizable across the language family. So I did some digging. The meaning of Vivek in Indian culture seems to be “wise” or similar, from Sanskrit root “vid” to know. This is probably a derivation ultimately from *wid- a Proto Indo-European root that gives us all kinds of words like English “wisdom” and “idea” to Spanish “vidir” (to see) and Russian “videt” (to see). So they probably don’t come from the same root! Even though they’re spelled the same in related languages! Vivica gets my vote simply because it’s the only spelling I’m familiar with – but I’m sure all it would take was to meet one IRL to change my preference. I like that it shares some sounds with Veronica but is just a tad shorter.